Confirming previous rumors about simplified SKUs, Microsoft has announced that its latest operating system will come in three consumer flavors: Windows 8, Windows 8 Pro and Windows RT (stands for runtime). The first two will be available at retail, while the third will only be preinstalled on ARM-based devices. This has been reduced from four retail editions of Windows Vista and three for Windows 7. All three have the same core features and the average user would likely have a tough time telling them apart. 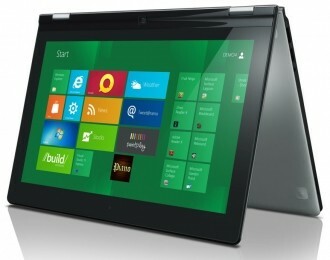 "Windows 8" is intended as the base offering and it seems analogous to previous "Home" editions. It has virtually all the upgrades we've discussed, like the updated Task Manager and Windows Explorer, better multi-monitor support, Sky Drive integration, improved power efficiency and more. "Windows 8 Pro" has some extra perks meant for tech enthusiasts and professionals, such as access to BitLocker and BitLocker To Go, Client Hyper-V, Group Policy controls, as well as the ability to host via Remote Desktop and boot from VHD. Again, nothing the average user is likely to need, though it's worth noting that the Pro edition is required to upgrade from Windows 7 Professional and Ultimate. "Windows RT" (also known as Windows on ARM or WOA) won't be available as a standalone retail OS and since it's mostly geared toward tablets, Microsoft made some mobile-oriented tweaks. Most notably, the company mentions touch-optimized desktop versions of Office applications including Word, Excel, PowerPoint and OneNote. It also gains device encryption, but loses Windows Media Player.